Installing a high-quality sign outside of your business is very important, but it’s also important to continue advertising your brand in other places. 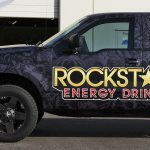 From using vehicle wraps on your company cars so that you can use to advertise your business as you drive around town to creating custom banners that can be used at big events, there are many different ways to use signage to let people know about your business. 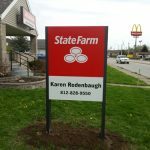 Greenfield Signs & Lighting works closely with businesses in Indianapolis and Greenfield and all throughout Indiana, and we can show you how to use signage more effectively to get your business name out there in the world. Greenfield Signs & Lighting can help more than just businesses, too. 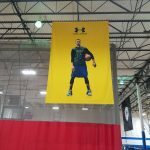 While our custom banners are perfect for small and large businesses, we also routinely work with homeowners, real estate agents, politicians and other people who need signs created. We can make yard signs for those who want to hold a yard sale or show off their support for a cause. We can also make real estate signs, political campaign signs, printed graphic signs, vinyl banners and more. If you need a sign made, Greenfield Signs & Lighting can assist you, and can even help come up with new ideas that will make your signs more effective once you put them up. At Greenfield Signs & Lighting, we know that there are many people who want to use plastic and printed signs to get their message out there. Some want to do it for political purposes, while others want to do it in an effort to push their businesses to the forefront. 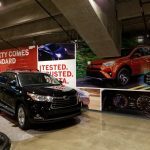 Whatever the case, we can help residents, businessowners and others in Indianapolis, Greenfield and elsewhere in Indiana to achieve their goals with our custom banners, banner printing and other services. You will be amazed by how great our signs will turn out, and you will find that they will help you achieve your goals once you start using them. Find out why so many people have turned to the professional team at Greenfield Signs & Lighting today. Give us a call at 866-740-9797 and find out how we can help you with your signage needs.